I am often in need of DVD scratch removers when I get DVDs from a rental store or the library. For some reason people can't seem to take these DVDs home without giving them a significant scratch before returning them. 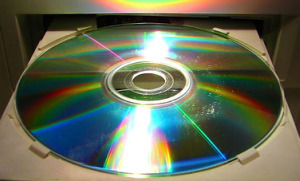 DVDs with scratches do not play well in the DVD player, and often skip, pause or even freeze, often in the middle of a vital portion of the plot, or mess up your computer program. So, how do you remove scratches from a DVD? There are several methods, some of which are discussed below. Toothpaste can be used to buff out minor scratches in DVDs. The method for removing DVD scratches with toothpaste is basically identical to the same method for fixing CD scratches. To learn more about this method check out my article on how to clean scratched CDs with toothpaste, which includes an instructional video. The video below explains how a disc repair system can repair your DVDs and CDs. Want To Know How To Clean DVDs? Check out my article on how to clean DVDs, which includes an instructional video.